Updated: Feb 12, 2007 — This learning guide provides experienced Visual Basic 6 developers with a one-stop source for .NET migration information. 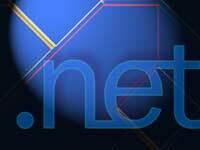 If you haven't made the move to .NET yet, now is the time to pump new life into your existing Visual Basic skills. Learn what .NET is all about and extend your skills with our collection of primers, FAQs, guides, articles, book chapters, webcasts and much more. Take a moment to e-mail us to let us know what other guides you'd like to see on SearchVB.com.